Honda Performance Development is set to have an expanded presence in both the TUDOR United SportsCar Championship and FIA World Endurance Championship, with all six of its allocated HPD ARX-04b cars expected to be sold to teams competing in either series for 2015. The all-new closed-top LMP2 car, designed by Wirth Research, has received a considerable amount of inquiries from customers, with no fewer than 10 teams showing a high level of interest in purchasing cars, according to HPD VP and COO, Steve Eriksen. “The balance between World Endurance Championship or the TUDOR Championship kind of depends on the politics and Balance of Performance happens in the U.S. But I expect that all six of the cars we’ve targeted will go out to teams,” said Eriksen. Two cars have already been sold to Extreme Speed Motorsports, which is expected to take delivery of the first chassis in November. Eriksen said they have a verbal agreement on a second major team, which is widely believed to be Andretti Autosport, although unconfirmed by the California-based manufacturer. 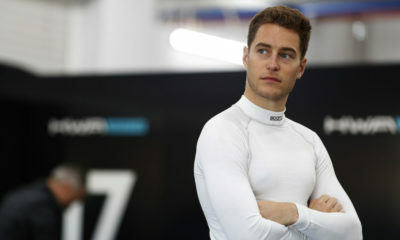 Eriksen said the first car will be built in England before being shipped off to the U.S. for testing with the ESM squad. After that, individual teams will assemble their own cars, with the assistance of HPD and Wirth mechanics, the same method that’s been in place with previous prototypes. “The car itself, it takes everything we learned from the last times that we had to do new cars,” Eriksen said. “What you’ll see is essentially the behind-the-scenes work that has been going on for years in our sports car program finally come to light. While the ARX-04b will be powered by HPD’s proven direct-injection 2.8-liter V6 twin-turbo engine, new enhancements, such as its fuel safety interlock system, which prevents the clutch from engaging when the fuel nozzle is still plugged in during a pit stop, will come standard. Eriksen said they are also pushing for IMSA to revert to the ACO-style pit stop regulations, where no work can be done while the car is refueling, on the grounds of safety. With new worldwide LMP2 regulations on their way for 2017, HPD is under the assumption that the majority of the car will be future-proof, ensuring it can compete beyond the next two years. “It looks like the current thinking is that the current P1 monocoque regs will carry on,” Eriksen told Sportscar365. “We didn’t know that at the time [of the ARX-04b announcement], we did it for the reason of safety, but it works. “I believe what we’ve invested in will have a life beyond 2017, maybe not the entire car but a big chunk. The crash structure, the monocoque, engine and gearbox.. there’s a good likelihood that stuff will carry over. “I think the rest is down to the requirements of the two series in respect to what the cars will look like. Additionally, Eriksen anticipates additional customers utilizing HPD’s powerplant in other LMP2 cars, such as the Ligier JS P2, which made its debut at the 24 Hours of Le Mans. A HPD-powered Ligier is expected to contest the final two TUDOR Championship rounds of the season with OAK Racing.